Objective : The three years Distance Learning Bachelor of Science (B.Sc.) Degree in Dietetics conducted by The Global Open University, Nagaland has been designed for meeting the demand of the growing needs of experts in the fields of diet management, dietetic consultancy, clinical dietetics, community dietetics, gerontological dietetics, paediatric dietetics etc. Awards : Bachelor of Science (B.Sc.) Degree in Dietetics shall be awarded to the successful candidates. Those having expertise in Dietetics advise on what to eat in order to lead a healthy lifestyle or achieve a specific health related goal. They work in a variety of settings from clinical to community and public policy to communications. 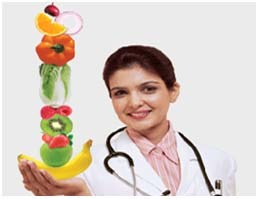 They work in the treatment and prevention of disease by administering medical nutrition in hospitals. In addition, a large number of dietitians work in community and public health settings. Many of them work with food and nutrition industry. Assignments : All admitted participants must submit subjectwise assignments based on the Mini Project Reports to be prepared by them on a topic related to each of the subjects..